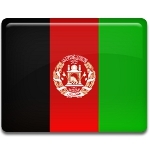 Afghanistan annually celebrates Liberation Day on February 15. This holiday commemorates the end of the withdrawal of Soviet combatant forces from Afghanistan. The withdrawal of Soviet combatant forces began on May 15, 1988, in the end of the Soviet war in Afghanistan. Afghanistan and Pakistan signed instruments on principles of mutual relations on April 15, 1988. The United States and the USSR also signed a declaration on refraining from any interference and intervention. When declarations came into power, the USSR started withdrawal of troops. During the first three months of withdrawal over 50,000 soldiers left Afghanistan. Another 50,000 were withdrawn between August 15, 1988 and February 15, 1989. February 15, 1989 became the day, when the last Soviet soldiers left Afghanistan. The exact number of soldiers who died during the war is unknown. Some estimates range from several hundred to half a million. The exact number of victims among civilians, mujahideen and government soldiers is also unknown.